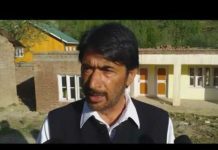 KISHTWAR: Peoples Democratic Party (PDP) District President Kishtwar Sheikh Nasir Hussain said that the large Gujjar community in Inderwal has suffered exploitation and need a focused and composite development plan to ensure their progress and decent life. Addressing a gathering of at Village Angara Sarthal in Inderwal Constituency Nasir said that Gujjars are an important community of the state and their input to our economy and cultural variety has been immense, but unfortunately the benefits of progress have failed to reach them. These innocent people have always been exploited and used as a vote bank and audience for public meetings without ever trying to address their problems of survival, leave alone their issues of development. Sheikh Nasir accused both Congress and National conference for ignoring and exploiting the weaker section of the society especially Gujjar and Bakarwal community and has demanded a probe to investigate that where and how the developmental funds meant for these sections and areas have been spent. PDP Leader asked the former MLA G.M.Saroori to explain why do these pockets dominated by Gujjar and Bakarwal population lack every basic immunities of life. Nasir while appealing the community to stress more on education, asked administration not to make political loyalty the criteria for providing even minor facilities to these areas. 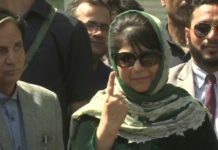 Mufti as Chief Minister of the state had passed an order with ‘specific’ directions to ensure protection of Gujjar community which was criticized by her opponents. Earlier Sheikh Nasir was given a warm reception by the people especially the gujjar community who also raised several local issues before him. On this occasion several prominent persons especially from gujjar community joined PDP in presence of Sheikh Nasir. Those who joined hands with PDP include Irshad Ahmad, Bashir Ahmad, Habib Gujjar, Ghulam Hussain, Baru, Liyaqat Ali, Bir Singh, Noor Mohd, Gami Gujjar, Ghulam Hussain Tander, Hussain, Zakir Hussain, Mohd Aslam, Noor Hussain and Shabir Ahmad.